Joe Dooley won the ASUN regular season conference title for the second straight year in 2018. They start the conference tourney Monday night. Always happy to see former KU coaches do well! Is it possible the big guys are playing a bit soft to avoid fouls, hence fewer rebounds? Given that the big guys spent a lot of time on the bench in the first half, it had to impact rebounding. RE: how many teams ? RE: Who's playing in #14 uni? There are articles and comments today regarding the “fun”the team was having. Newman had 8 points in the 1st 6 or so minutes and opened up his personality. Svi was his usual “all business” demeanor. Doke never smiles, like this is a lot of work! Looks like Devonté tries to have fun but carries the weight of the team on his shoulders. From a (very) high level, the team looks really stressed. Can HCBS get these guys to have fun yet play efficiently? Personally, I’d like to see more smiles and arm waving. It is ugly, VERY ugly. I lost my wife to pancreatic cancer about 2 years ago. It took her in 6 months. She wasn’t the same physically or mentally after identification. Lost my mother to it, also. He had a great game for Ukraine, scoring 22 points and helping to defeat previously unbeaten Spain! As I understand it, supposedly Under Armour paid SDS’s guardian. The guardian had to reimburse UA when SDS decided to commit to Kansas and the guardian had to reimburse UA. Allegedly, that’s where Adidas stepped up and either reimbursed UA or the guardian for his payment back to UA. IMO. Happy Thanksgiving to all, and to all - a great day! According to Gary Bedore’s Twitter account, Sosinksi is expected to be added to the squad for Wednesday’s game. Despite what HCBS said, I’d love to see Sosinski on the court for a bit. So despite my pessimism coming into the game (crow served well done, please), KU was the only Big 12 team to win on the road today. Outstanding! I think these guys should do the Maori “haka” before each game. It will scare the heck out of the opposition! These KU players are fine physical specimens! Maybe he can go back to his old professional team in “whereamI-istan”? Wake Forest upsets North Carolina State tonight by 4. They were 9 point underdogs. Good for Danny! @JayHawkFanToo, $20/month with all the ESPN channels. Received a free ROKU for signing up an prepaying. I’ll quit in late March, as I did last year. I receive a ton of games! In other news, Western Kentucky lost to Missouri State, 85-80. Coleby had 8 points, 1 rebound, 2 blocks, 2 TO and 4 fouls in 18 minutes. He did start. Assuming Billy’s mother bought the car for him, the financing info is in her hands. It will take time to get that to KU, verify she has adequate income and (I’ll bet) search her financial records to make certain no one fronted the money or inappropriately co-signed a note. This all takes time. Anyone know what year/make/model he was driving? They better not “hit a curb” or they won’t be playing college ball! @jayballer54 - did you expect anything else? LOL! I can only take him in small doses. Wichita State down10 to South Dakota State at the 18:39 mark. I expect they’ll come back though. RE: Who do we want? Auburn or Clemson? @FarSideHawk - THREE games away! WKU lost tonight, but Coleby had a double/double. Their coach (Stansbury) said, ‘Sometimes when you shoot a lot of 3s and make some, it can be fool’s gold a little bit. That’s not our strength,’’ Stansbury said. Mitch is rockin’ with bow tie, sunglasses and dress shoes without socks! Look at the arms on Lightfoot. Couple of years in Hudy’s program does amazing things! By waiting one year, Svi has become a media darling! “Can’t miss!”!!! Interesting read. Villanova has two against championship caliber teams. Michigan State will scrimmage Gonzaga before playing KU. 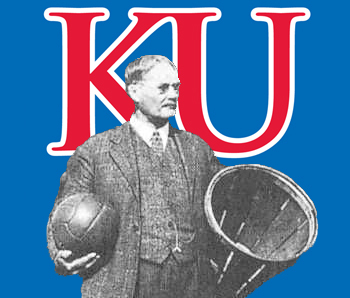 Don’t the 2 exhibition games KU plays provide much of the budget revenue for those Div 2 schools? @mayjay - oddly enough, ASU is closer to the Grand Canyon. Better bars/night life and MUCH more attractive women. Uh, so a friend tells me. 😬 I’m going to the ASU game, too. And a few beers in Scottsdale! RE: Jaybate, what is your gut telling you with these pipe bombs? @approxinfinity - Personal impact by illegals? Yes. I live in SoCal where we have a true melting pot. And, yes I have a degree from Pittsburg State in accounting and finance. I’m a CPA and have been in management positions all my working life. Rented a property to an illegal family based on false documents from them and the county. As a result it took me 3 months and $4K to remove them. Schools here are heavily populated with Latinos who speak no English, yet are placed in classes K-12. My grandchildren are faced with a slower pace of learning, Hispanic cliques and bullying. They can’t wear American flag symbols on their clothing because it creates animosity among other races. I have relatives and friends who teach at the high school level. It is common for classes to be disrupted, as well as the aforementioned learning, clique and bullying issues. Mexican flags, for whatever reason, are common. I know several teachers who quit over these issues because administration would not support them. Minorities cannot be failed without significant review – district policy. Until I retired, I managed a million sq ft distribution center in LA. We hired people who later turned out to have fraudulent SSN’s, false I-9’s and also clique issues. Often, termination was required for these violations and it was frustrating spending training time these people (then terminating), researching drug sales (then terminating) and arbitrating issues among various groups. There was quite a bit of animosity. I’ve been accused of racism for terminating guilty parties. I live in a medium sized town where almost all retail, common maintenance and other unskilled labor is performed by Hispanics. Generally, they do good work. Conversely, the area is becoming much less safe as indicated by Sheriff’s reports, drugs and violence is rampant based upon such reports and news articles. ICE and the Border Patrol are fairly active here. In short, living in “socialist” California is no longer pleasant. If this is the future of America, I’m worried. Perhaps your world is populated by a majority of white people but mine isn’t. Values are changing quickly here and I’m expected to accept it. SOOO glad I’m retired. Maybe I should move back to Kansas or maybe Texas…. Done ranting…… I won’t read the political section of KU Buckets any more. If Grimes and D Lawson turn out to be our top two scorers, who will be #3 for the season? I like Dotson’s game. He’s a bit under the radar now, but I expect even more points from him. There will be games where the interior game isn’t working well, putting the game into the hands of positions 1-3.